The spin-off sequel to Awkward comes out on Tuesday, September 25th. Also known as this Tuesday! Also known as tomorrow! It doesn’t feel real yet. In fact, it feels decidedly unreal. And I know I should be more familiar with the concept by this point. I wrote a book, sent it to my editor, banged my head against a wall a few thousand times and voila! It hits the shelves! 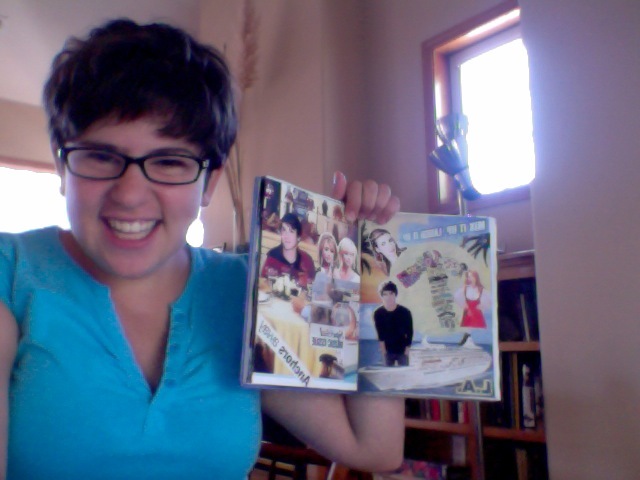 But it still amazes me to think of my book, sitting on bookshelves, waiting for super awesome people to read it! Especially because this book holds a very special place in my heart. Which is not to say that I love my other books less (Oh wow, I have a whole lot more sympathy for my mom now. Having her children demand to know which one of us she would save from a burning house first must have been obnoxious. Hint: it would be me) but this one is extra special. I was packing for my flight back to Oregon after spending the past three weeks in my cousin’s little apartment near Rice University in Houston, Texas–when I got The Call. Marni doesn’t quite know how to blend in Texas. Honestly, if I was in the middle of a mugging and my super agent Laurie McLean rang me up, I’d probably give the muggers the can you hold this for a moment finger and answer the phone. As it was, this particular situation was a lot less dramatic. Even if I did suspect that the humidity in Houston was trying to smother me. “Hi Marni, I just got a call from KTeen” SuperAgent Laurie said and I instantly brace myself for the news that every copy of Awkward has been destroyed in a freak natural disaster. The demented chicken dance stopped. Probably because it felt like my heart was no longer functioning properly and all that blood was going straight to my head. This is when I started pressing buttons on my phone, convinced that I had misheard her and that my crappy cell phone was to blame. “But I’ve already written Invisible,” I blurted out. Laurie waited patiently for me to make my point. One of my SuperAgent’s most impressive powers is the ability to make me believe that I can do anything. I don’t know how she pulls it off, but when I’m on the phone with her I am willing to agree to just about anything. And four minutes later I was calling my mom and freaking out. I made this point–rather loudly, I admit–in the airport and found myself on the receiving end of a more than a few funny looks. Looking back, I’m just lucky that airport security didn’t consider this un-American sentiment and try to interrogate me about it. Okay, I’m lucky for a whole host of reasons. I’m eternally grateful to KTeen for allowing me to write Decked with Holly the way I felt the story needed to be told: with two alternating point of views and no Hanukkah Harrys. And to my SuperAgent, friends and family members who tolerated my Christmas in July tactic. A special shout-out to my mom who must have stumbled upon me listening to the Pomplamoose version of Always in the Season three hundred times. This book may have scared me at first but it was an absolute pleasure to write. I fell completely in love with a certain rockstar drummer and enjoyed every second I spent in his head. I don’t want to spoil the ending but he does something that made me go all melty inside. I want to discuss it with people soo badly! And if you also want to click the “like” button, I know for a fact that the author will do a demented chicken dance. You also might want to read Awkward (if you haven’t already) because it will make Decked with Holly even more exciting for you. That said, I promise you don’t have to read Awkward to completely understand what is happening to Holly and Nick. 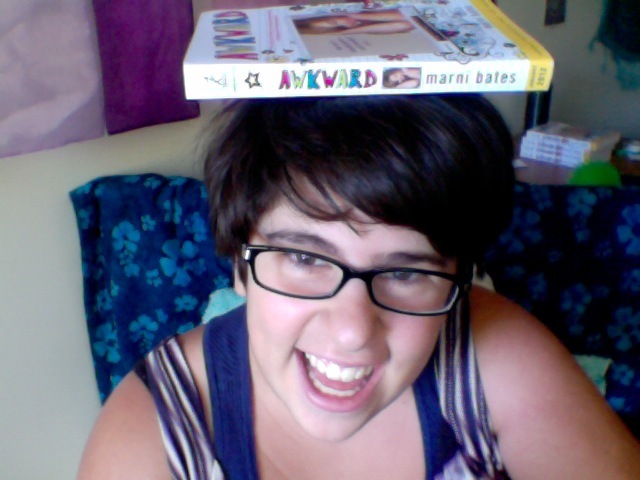 Then again, with the awesome discount price of $2.99 for Awkward now is a really good time to get it. Anyhow, once you read the books I sincerely hope you will tweet me with your thoughts. I absolutely love hearing from people! Oh, and whenever I get fan art I call up every single member of my family and I brag about it to them. One time someone messaged me that I was tied as her favorite with Justin Bieber and I geeked out. 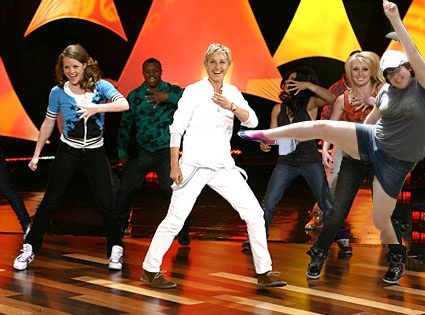 Watch out, Biebs. 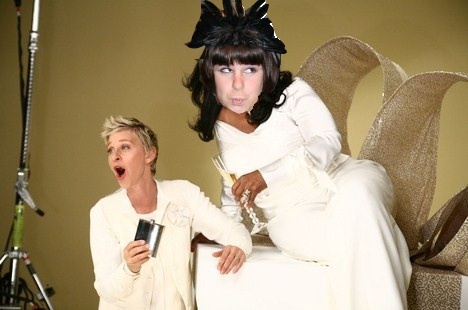 I’m stealing your fan base! I will absolutely see your messages in these places! And if you feel like leaving comments on Goodreads, I probably will be too confused to respond but I will do my happy dance. I have even bigger news coming your way soon so . . . I should probably stop writing before I give it all away. Thank You, RWA! I Will Never be the Same. I don’t think I can put into words how much my time at the RWA meant to me. I’m half-laughing and full on crying as I write this. And we’re not talking pretty crying here, guys. See, I’ve spent a long time feeling really insecure about my place in the writing world. I didn’t tell anyone in high school that I dreamed of being an author because I was worried that they would discourage me from pursuing it. In hindsight, I’m glad I kept my mouth shut too. Because plenty of people discouraged me later on and that was tough enough to handle when I knew I was capable of even finishing a story. I never saw myself as fitting in with the writer-y kids in high school, most of whom were double-dipping in drama club and had no trouble dropping philosophical quotes into every day conversation. Partly because I wanted to be reading Meg Cabot instead of Mark Twain and Julia Quinn instead of Hemingway. Only I knew it wasn’t cool to admit it. And when I reached college, my inadequacy only became more glaringly obvious. I thought it would be a good idea to move into the artsy dorm my freshman year. Not so much. I mean, not everyone in my hall hated me. But most of them weren’t exactly part of the Marni Bates fan club, if you catch my drift. And when I let it slip that I had just been hired to write my autobiography…it only became worse. Some people thought I was a pathological liar. Not even kidding. Even the kids who did believe me, perceived me as a dork. And every time I went to an Open Mic Night it was obvious that the kids writing the classy short stories about street gangs were the ones who deserved the book deal. Now some of this may have just been in my head. But a lot of it wasn’t. Leaving that dorm helped, but by that time I had declared myself an English major and once again I was the only person who read romance. Or at least the only one who admitted to reading it. In my three and a half years at Lewis & Clark I never met anyone who wanted to write novels that ended in happily ever after. And trust me, I couldn’t ignore it. Every time someone saw me reading a “trashy” romance novel, I had to bite my tongue. I had to restrain myself from point out that FABIO IS NOT ON THE FREAKING COVERS ANYMORE! If you are going to judge a genre at least have the decency to KNOW SOMETHING ABOUT IT! Yeah. That was hard to keep bottled inside. 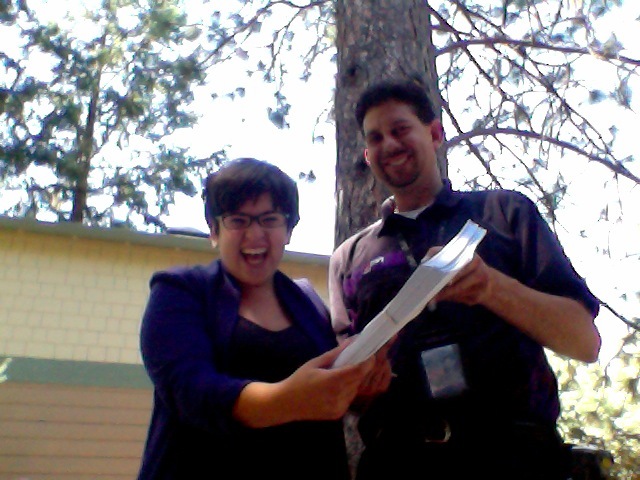 So I felt like the unsophisticated rube of the English department. And landing a four book deal with KensingtonTeen didn’t change that. Not really. I honestly think the hardest time for me may have been in Australia. I was writing/editing/obsessing over Invisible because I was trying desperately to meet my deadlines. But what’s wrong with being passionate about my job? What’s wrong with loving something that empowers me to try to make a difference in the world? Which reminds me, if you are hoping to be mocked, just tell people that you try to create social change by writing (insert genre here). Works like a charm. 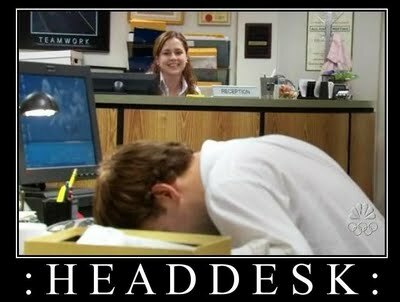 If I recounted every time someone told me to start looking for a day job or to get a back-up plan or insinuated that I, personally, was unqualified to be a writer, this blog entry would be excruciatingly long. But I did my best to ignore the nay-sayers. 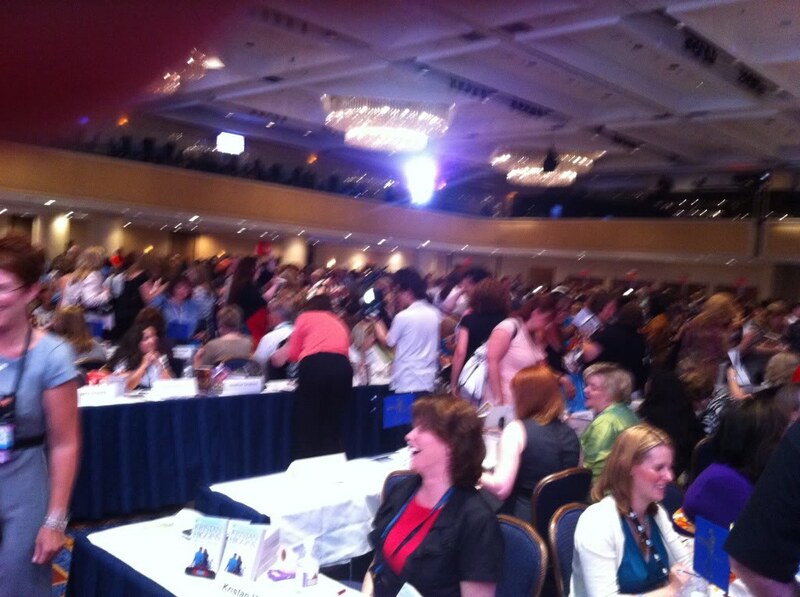 I squinched my eyes shut and dreamed of going to the Romance Writers of America conference. I imagined not being perceived as weird for geeking out over my favorite authors. I pictured shaking Nora Roberts’ hand, getting Julia Quinn’s signature, and chatting enthusiastically with thousands of other writers and readers alike. That dream kept my going. I was finally surrounded by other people who shared my love of a happy ending. Who understood that sweet doesn’t mean sappy. That romance doesn’t mean trashy. That a good book can change or save a life. They supported me. They made me feel like what I did was of value. Which is why I’m still bawling my eyes out right now. So this is my heartfelt thank you to everyone at the RWA conference. To everyone who greeted me, who tweeted me, and who treated me as a friend and an equal. I will never be the same. Honestly, I don’t even know where to begin. I am having the best time of my life at the Romance Writers of America conference. I mean, I was a little worried that I had built it up too much in my head. Seven years is a long time to fantasize about what it might be like, and I was bracing myself for disappointment. It has exceeded all of my expectations. Yesterday, I enjoyed a talk by Simone Elkeles (author of Perfect Chemistry) before I headed off for the Literacy signing. It was essentially an enormous convention hall full of my all time favorite authors. And I was free to romp among them! It was quite possibly one of the best moments of my life. I started wandering the rows of authors, grinning like a loon, as I stalked located my all-time favorites. It was actually quite challenging because I kept getting distracted by all the amazing authors around me. Victoria Dahl (known for her kickass Regency and Contemporary books. 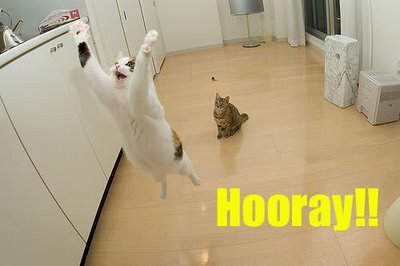 Also for her hilariously awesome tweets). All of them were absolutely wonderful. AND THERE WERE SO MANY AWESOME PEOPLE! Then she ran around her booth so that she could give me a big hug. If anyone starts talking smack to me about wasting time on Twitter, I’m going to point out that it allowed me to become friends with Tessa Dare. She’s totally going to win the RITA for A Night to Surrender. I know she doesn’t think she’s going to get it, but she is wrong. Her novel completely deserves to win. I’d also like to mention that all of my Twitter friends have been awesome in real life. I met my fellow KTeen author, Brigid Kemmerer, last night and I can’t wait to spend more time with her at our signing at Vroman’s on Saturday! I know it only just started, but I never want to leave. If spending the rest of my life in the Marriot with super-agents Laurie McLean and Pam Van Hylckama-Vlieg was an option, I would totally sign up for it. I can’t express how amazing it feels to be in such a supportive atmosphere. And now I need to find New York Times Bestselling author Stephanie Laurens so that I can give her an ARC of Decked with Holly. Because she asked to read it. Geeking out so freaking hard! A Pirate’s Life for Me! So I arrived safely in Los Angeles…without my suitcase. Which wasn’t actually the crisis I feared because LAX drove it out to Ventura later that same night. That said, I definitely had a momentary freakout when I pictured strolling into the RWA conference with absolutely nothing clean to wear. 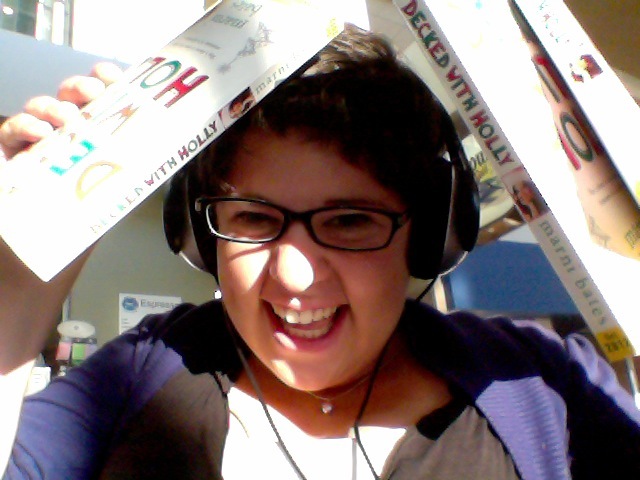 On the plus side: I knew I still had fifteen ARCs of Decked with Holly with me. On the negative side: um, I kinda wanted my clothes too. But it all worked out! And today I went adventuring! Marni and Emily are the classiest pair at the Pirate Festival! 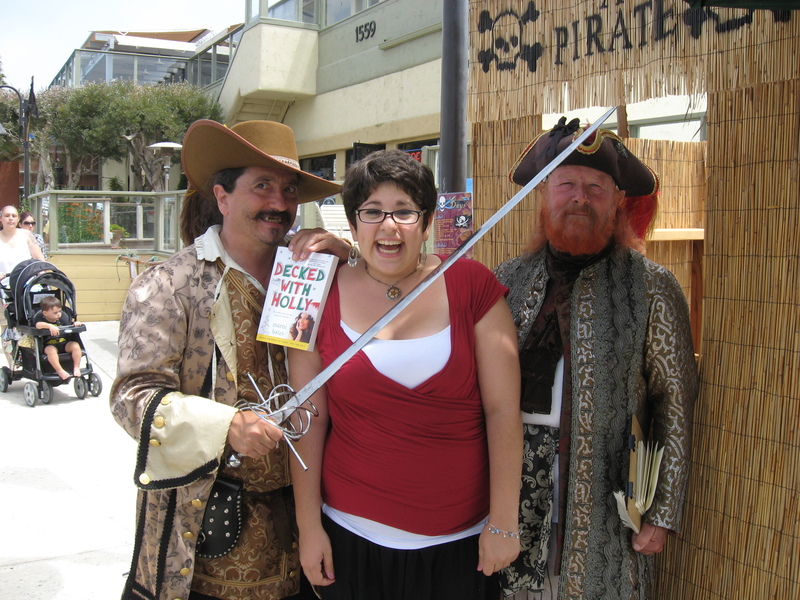 See, my visit to Ventura lined up perfectly with the Pirate Festival! So I put on my most pirate-y outfit and headed out with me matey! I may have inadvertently mentioned that the spin-off sequel to Awkward takes place on the high seas…and that’s when they ordered me to hand it over. I would post more about my adventures here but…my computer doesn’t want to let me do that. So here’s the deal: you can check out my pirate adventure by following me on Twitter. Which totally sounds like I’m just using my pirate adventure to get a bajillion followers on Twitter…I promise, that’s not the case. Then again…can you really trust the word of a pirate? I am heading to Los Angeles today! Which means all of you get a very funny airport story. So I had to wake up at the ungodly hour of 5:15 today. Okay, so it was supposed to be 5:00 but my alarm clock was a little, erm, easy for me to dismiss. Maybe I just need a crocodile to come with my alarm clock like in Peter Pan. That might be effective! Anyhow after scurrying around my room like a crazed person (or a slightly neurotic person who absolutely has to get to an airport at least an hour before her flight) I managed to shove my enormous suitcase into the car and drive off into the sunrise. 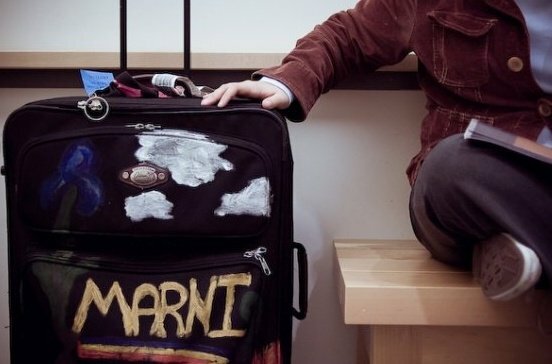 My trusty suitcase. It’s been with me since high school. I looked kinda like this. Except, you know, not so blonde and significantly more freaked out. Then again, it was Friday the 13th! Um…right. Because that’s a great way to put one of my favorite authors at ease when I meet her at the Romance Writer’s Conference. Not that I’m geeking out about attending or anything. Who me? Nah. I’m totally playing it cool. But my mom’s mission of making me laugh (at 6am no less) was a success and I hurried over to the check my bag with a big ol’ grin on my face. That’s when I discover my checked bag was roughly 7 lbs overweight. Probably because I stuffed almost all of my Decked with Holly advanced reader copies inside of it. Coming to stores soon! AIYEEEE!!! So excited! And unless I wanted to pay an extra $100, I had some major rearranging to do. 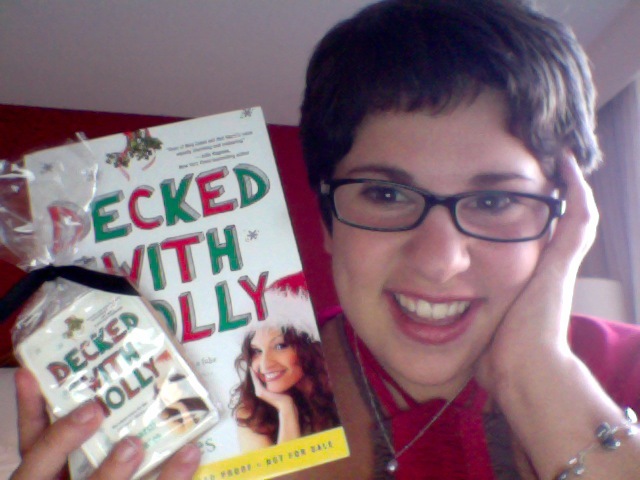 Let’s just say that airport security was significantly less excited to see twenty copies of Decked with Holly than I was when they arrived. Still, I refused to let a little problem like an overweight bag get me down. I greeted TSA very nicely (Word to the wise: never piss off people that can give you a full body search) and made my way to the gate. Where I sat all by myself. Because there was nobody there. I’m talking ghost-town levels of nobodiness. 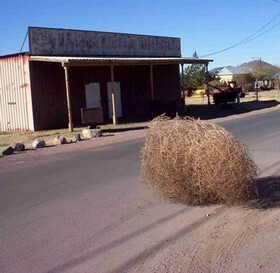 You know, when you see tumbleweed roll across an empty road and you think, wow, that place is dead quiet. 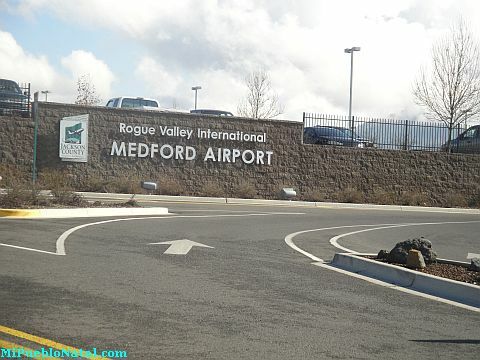 Yeah, that’s the Medford Airport at 6am. But being of the nervous/neurotic temperament, I started freaking out when it looked like the flight was supposed to be boarding within the next fifteen minutes, and I was still completely alone. 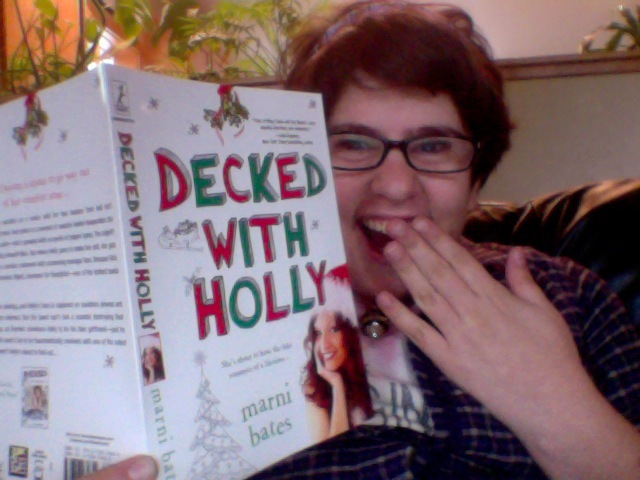 Okay, so I took a few dozen photos with my ARCs of Decked with Holly first. Which is when my lovely new TSA friends pointed out that I had booked a 7PM flight. Translation: I woke up at 5:15 for nothing!!!!! Oh, and instead of picking a convenient time for my best friends’ parents to pick me up from the airport, I had scheduled the worst time possible! So I had to walk back to the baggage counter, site of my earlier display of book related idiocy, and explain that, yes, I understood that I royally effed up. Then I called my mom who had a good laugh at my expense. Gee, thanks, Mom! 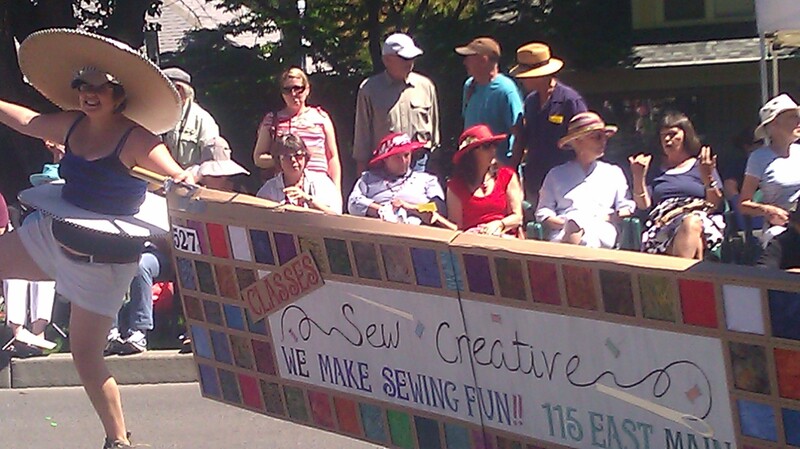 Don’t think I’ll forget that the next time you ask me to be a freaking bobbin in the 4th of July parade! But a little computer magic later…and I’m waiting to board my new flight. One that should get me to LA exactly when my friends’ parents expected to get me. So…nobody needs to know this ever happened, right? Well, except for all of you! 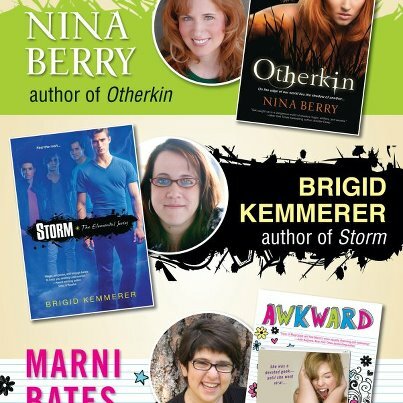 I’ll be sure to update my blog lots to capture all the RWA madness that is about to happen. Oh, wait. New announcement. My flight is delayed and the likelihood that I’ll be making my connection looks pretty grim. Here’s Some Ridiculousness for You! 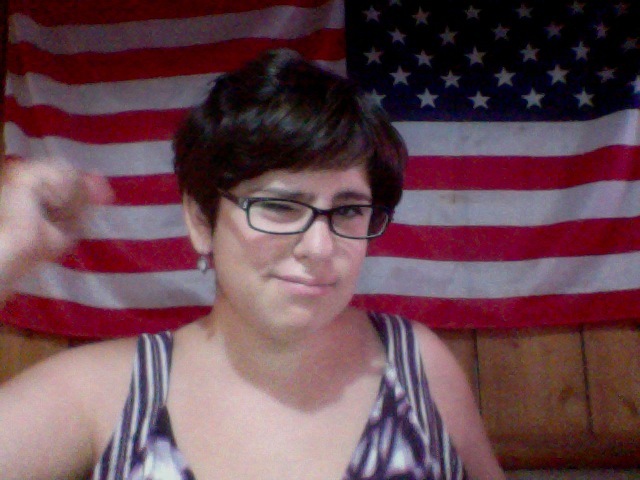 I debated whether I wanted to share my 4th of July photos with all of you. And then I realized that everyone who reads this blog already knows how geeky I am! So my parade pictures aren’t exactly going to come as some big shock. I mean, if I wanted to hide my high geek quotient…I probably shouldn’t have shared my celebrity stalker journals “idea notebooks” here. 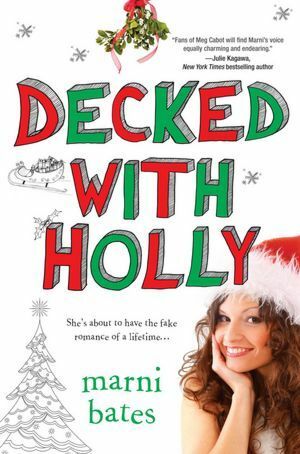 A sneak peek at Decked with Holly! That’s Dominic Wyatt on a cruise ship. That’s right: he’s on a boat. And he was never to be seen again. Probably because I don’t tend to stalk mail-carriers. I still look back at that night fondly. That whole month, actually. Roughly 94% of the Lewis & Clark people I shared them with, loved it. The other 6% placed bets as to when a cease and desist/ restraining order would be issued. Yep. 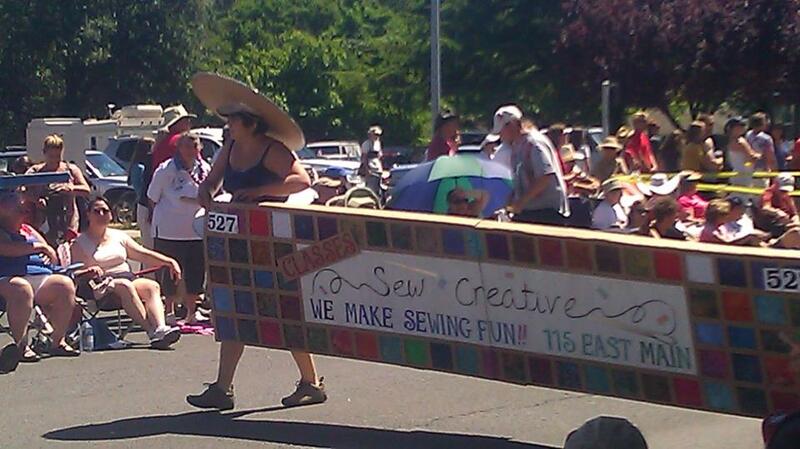 I was the “Dancing Spool of Thread” in the Sew Creative parade entry. You can’t tell from the picture but I was wrapped in blue yarn to emphasize, you know, my spool-iness. I’d like to take this opportunity to point out that it is not easy to dance with a huge cardboard circle around your waist. And that when I absent-mindedly imagined running into old high school classmates, it was not bedecked as a spool of thread. But I earned so many daughter points. So it was worth it. Anyhow, I hope you all had a wonderful 4th of July! I have to say, it’s a really great feeling. No more homework. No more pretending to be paying attention in my boring SOU class, while I secretly read romance novels. Or not so secretly, actually. I’m pretty sure the teacher knew something was up when I started grinning. Probably because I was not smiling as he blithely wasted my time ranting about Obama’s first girlfriend. 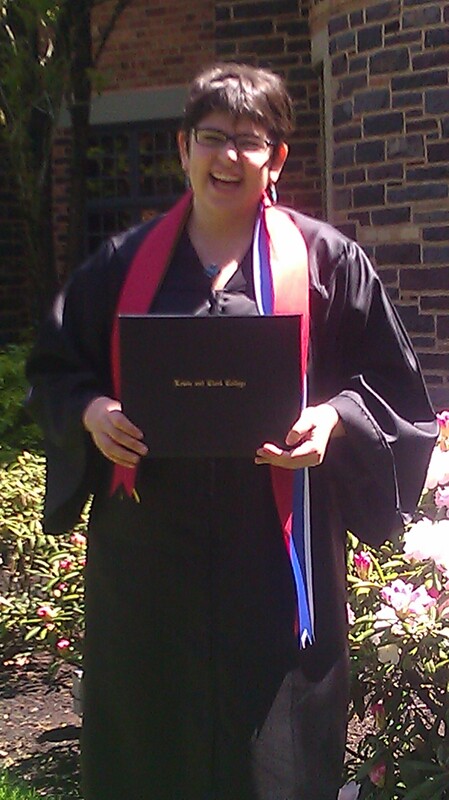 My actual college graduation ceremony happened a few months ago. And I wrote a whole long blog post on it and then delayed actually sharing it because I wanted to include photos. Then I saw the ones my family took of my very special day. First of all, they snapped all of five photos. And nobody noticed that my hair was absolutely ridiculous! I look like Count Dracula. 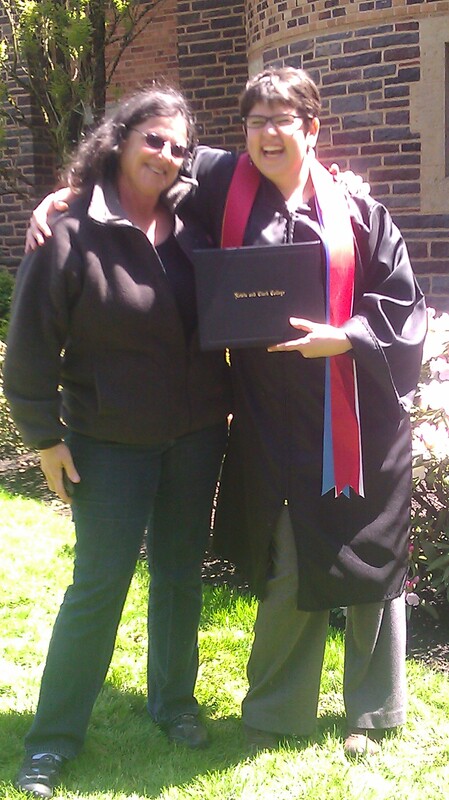 Here I am with my lovely aunt! You can tell that Count Marnula is speculating about when she’ll be able to drink her blood. And smiling at the thought. Actually, that day I was feeling more zombie-like than vampiric. I came down with an awful flu the night before my graduation. I was able to keep it at bay until after the ceremony, but not by much. 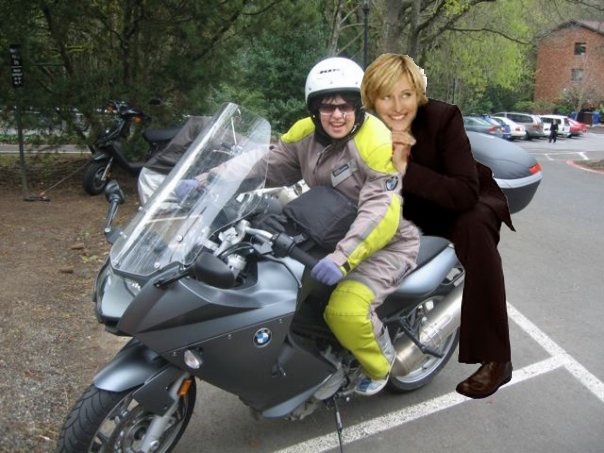 Thankfully, my amazing friend Diana W. Rosengard drove me back to the hotel, where my aunt was waiting. She wisely let me nap before taking me out to dinner in the hotel. Honestly, I didn’t have the strength to move any further than that. But even with the shivers and the sore throat, it was a magical day. And it was really great hanging out with all of my friends for the brief amount of time I was, you know, fully functional. Still, it was kinda hard to feel graduated when I knew I had my SOU midterms waiting for me in Ashland. But now all of that is over! Well, everything but the paperwork. I need to transfer my SOU classes to Lewis & Clark, but…c’mon, that doesn’t really count. So what have I been doing with my time? 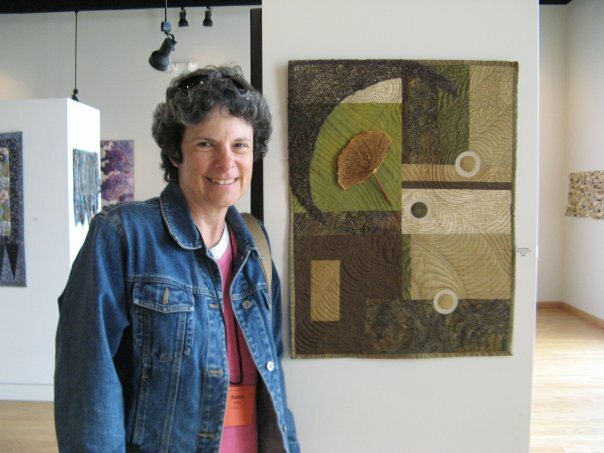 Well, my mom just bought a quilt store in Ashland! It’s called Sew Creative and in my unbiased opinion, it’s going to be spectacular. That said, right now it’s in the work in progress stage. Which means I’m going to be spending this week sanding shelves, painting fixtures, cutting fat quarters, and doing anything else she needs. I like to think this will earn me tons of daughter points, which I plan on cashing in very soon. Specifically, July 19th when my mom is driving me very early to the airport. Because I’m going to the ROMANCE WRITERS OF AMERICA CONFERENCE! More on this soon–I must return to my sanding. Come Visit My Facebook Page! Blog Posts of the Past!